Born in Hungary in 1974, Gabor Varga studied at the University of Szeged and the Liszt Academy of Music in Budapest gaining his diplomas in 1996 and 1998 respectively. He graduated from the Paris Conservatoire as a Postgraduate in 2002. His professional orchestral career began in 1995 when he was engaged as Principal Clarinet in the Györ Philharmonic Orchestra. In 1996 he became Principal of Concerto Budapest, and since 1997 he has been Principal in the Hungarian Radio Symphony Orchestra. Between 2005 and 2007 he served as Principal with the Singapore Symphony Orchestra while on sabbatical from Budapest. He has also worked regularly with the Franz Liszt Chamber Orchestra since 2001. Winner of several national (in 1985, 1988 & 1992) and international prizes(1994, 1995 & 2001), he has since performed in more than 25 countries worldwide (including USA, Canada, Peru, Japan, China, Taiwan, Singapore, UK, France, Spain & Italy) and appeared as a soloist in such concert halls as the Musikverein in Vienna and the Gewandhaus in Lepzig, participating in various music festivals and appearing at the most prestigious clarinet festivals. A keen advocate of new music, he has premiered several new works of chamber music and commissioned numerous Concerti from leading Hungarian composers like Kovács, Durkó, Fekete, Szentpàli, Vajda and is continually searching for opportunities to introduce new music to the Hungarian public including the Sonata by Mieczyslaw Weinberg and Thea Musgrave’s Clarinet Concerto. His recordings include several chamber works and Concertos by Weber and Mozart for Hungarian Radio and CD recordings of the Nielsen Concerto, Dreamdances by Kovàcs, chamber music by Drusetzky and Vajda’s clarinet works. He regularly gives masterclasses in Europe, Asia, North America, South America at major universities (Beijing, Katowice, London etc.) and for the ICA and ECA clarinet festivals. His teaching career started at the Liszt Academy of Music in Budapest in 2001 as an assistant. In 2006 he taught at the NAFA in Singapore. In 2014 he joined the staff of the University of Debrecen in Eastern Hungary but later that year he was appointed Professor of Clarinet at the Tibor Varga Faculty of Musical Arts at the University of Györ. 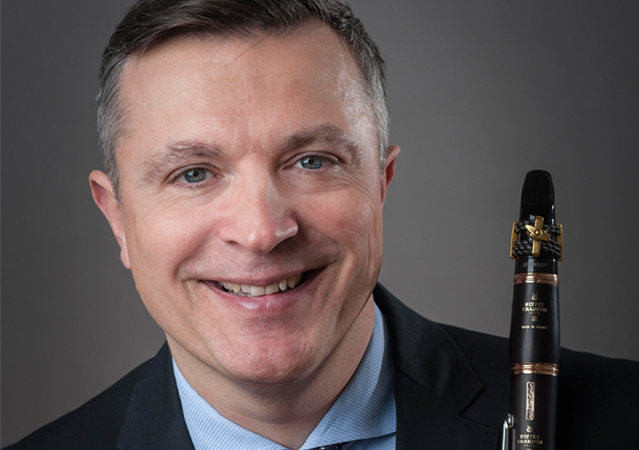 Since 2017 he is holding the position of International Chair of Clarinet at the RNCM, Manchester, UK.